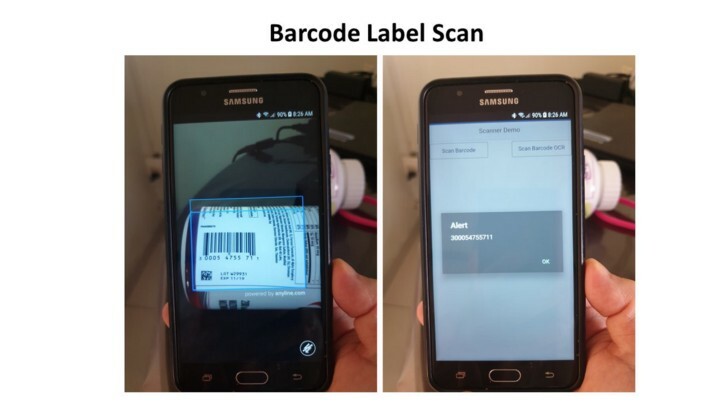 I would like to share how easy to build the Android SAP Fiori OCR Scanner to scan the barcode label and text. Here are the screenshots of the final app that we are going to build. We need to configure & install the following software. Install the following components. The version in the bracket is the version that I am currently using and is working perfectly. Set the following environment variables: ANT_HOME, JAVA_HOME and KAPSEL_HOME. Click Preferences > Features (Extensions) and search for Hybrid App Toolkit. 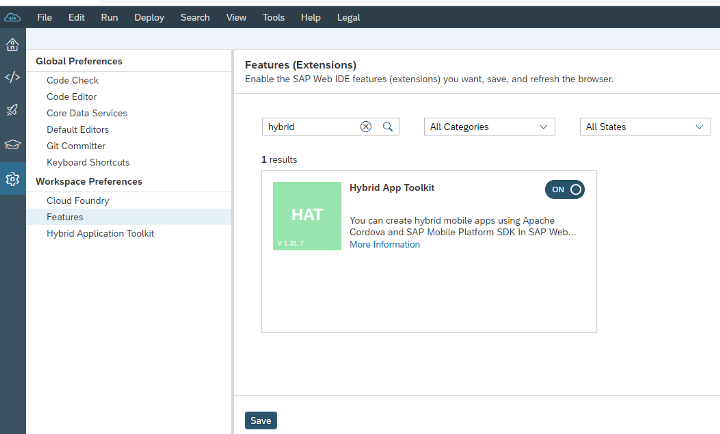 You will see the Hybrid App Toolkit. Even though this feature has reached the end of maintenance, I can still use this feature to build the awesome apps and I find it easier. Next step is to install the HAT locally on your computer. Download the required components for HAT. We need to modify the HAT Add-on setup script, otherwise you will get an error message. 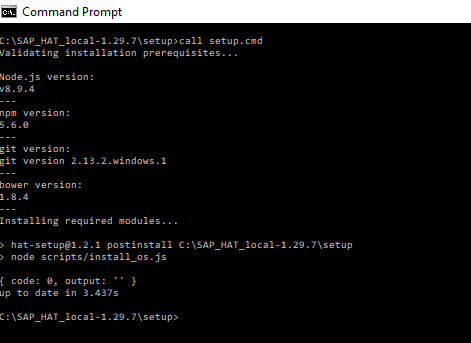 Open check_env.cmd at folder .\SAP_HAT_local-1.29.7\setup\scripts\win and change the NodeJS version major, minor and build at line 62–64. If no error, the browser will be opened. Click Check All to start the installation. Make sure there is no error on each step and status is passed. 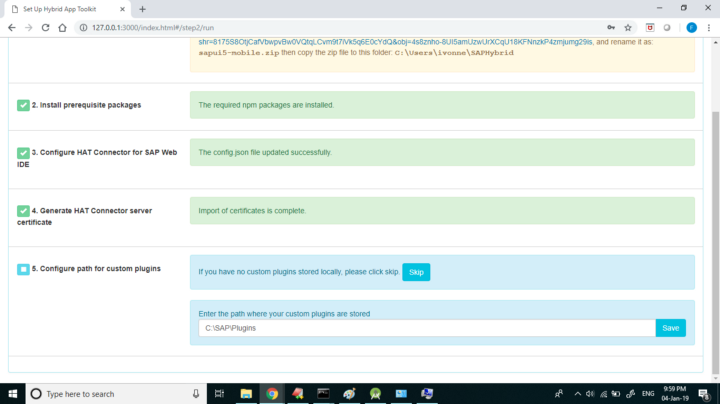 At step 5 Configure path for custom plugins, specify the folder where you want to put the Anyline SDK Cordova plugin (for my case is C:\SAP\Plugins). Later we will download this plugin. Check again to ensure there is no error and all steps are passed then close the browser. Go to HAT Add-on folder installation and run the HAT server. 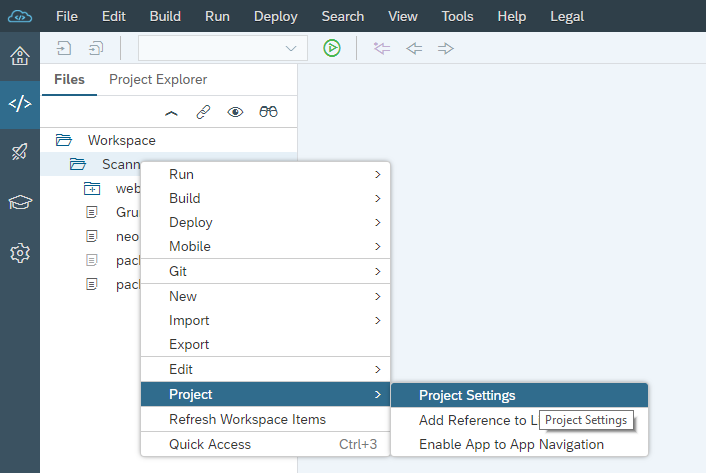 Check if SAP Web IDE can communicate to the server. 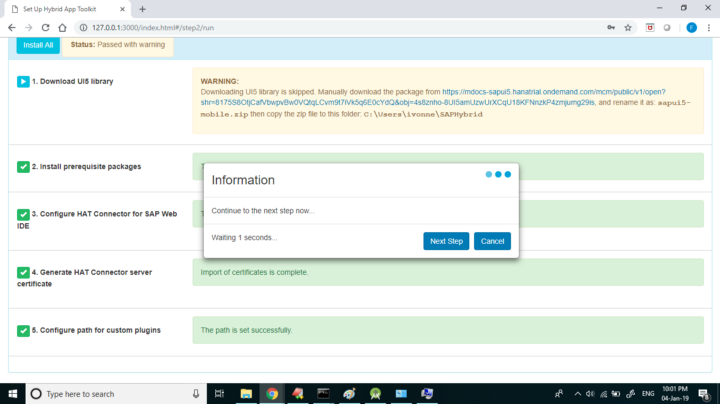 Go to Web IDE > Hybrid Application Toolkit and test the connection. If no error, you will see the similar result as per the below screenshot. 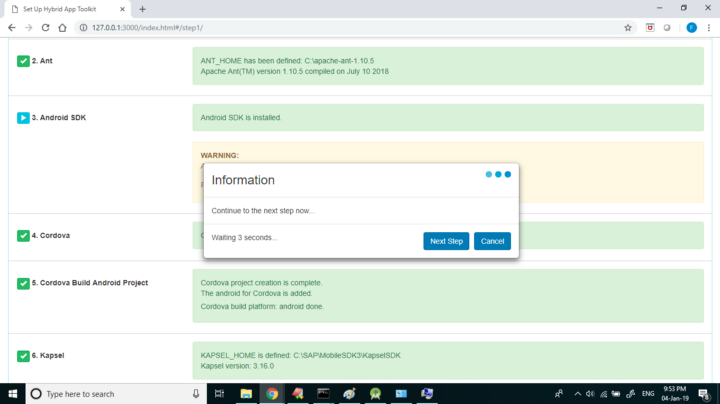 Download Anyline Cordova SDK from https://github.com/Anyline/anyline-ocr-cordova-module and put it under C:\SAP\Plugins\Anyline. That’s it!. 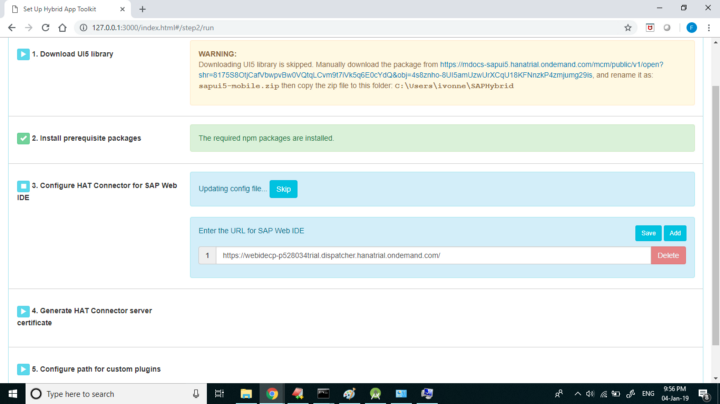 On SAP Web IDE, create the SAPUI5 app Scanner. Enter the App Name and App Id. 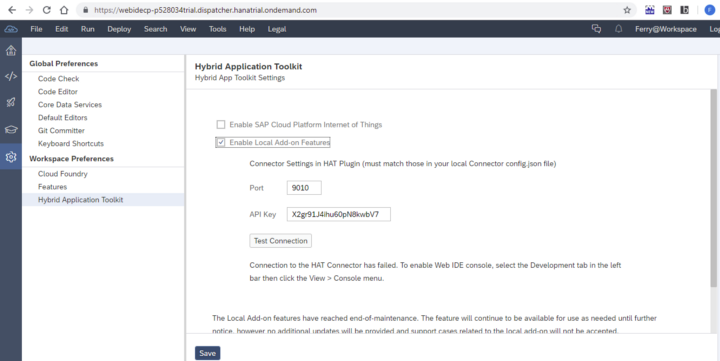 Select Hybrid App Toolkit > App Configuration > Plugins > Custom. 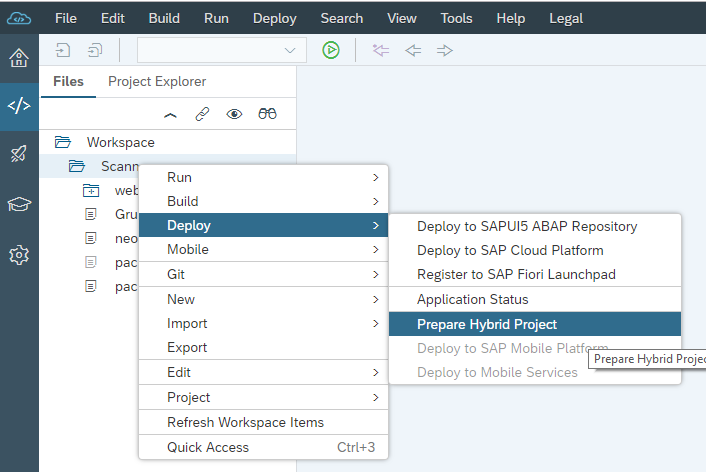 Click Deploy > Prepare Hybrid Project. You will see the progress on the console. 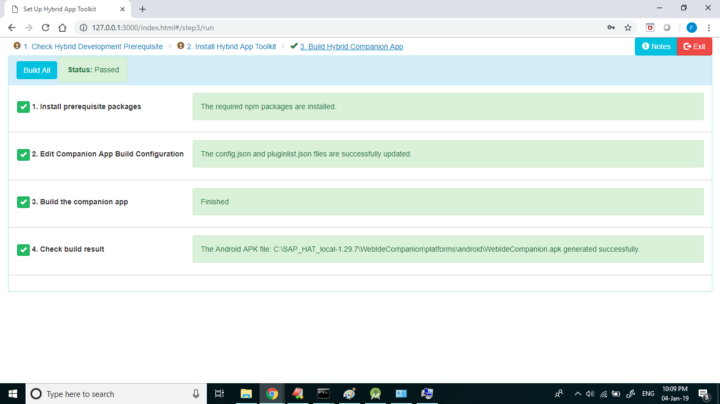 One of the activity is to install the Anyline Cordova plugin locally. Wait until the app has been successfully deployed. It will be saved at C:\Users\<user>\SAPHybrid\Scanner. Remove uses-sdk tag on AndroidManifest.xml. Now the build is success! 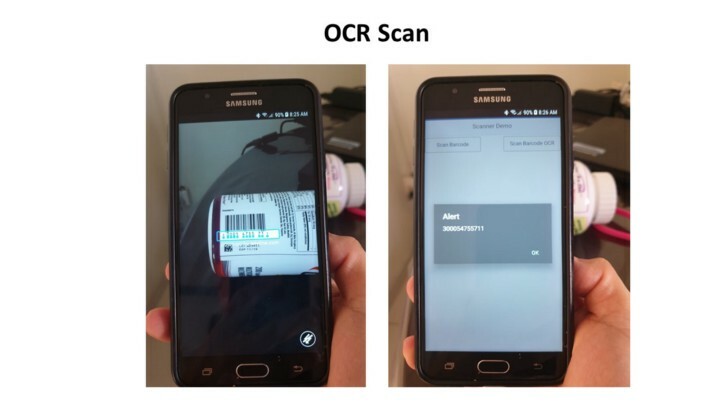 The main functions to scan the barcode and OCR are in the the Scanner.controller.js. 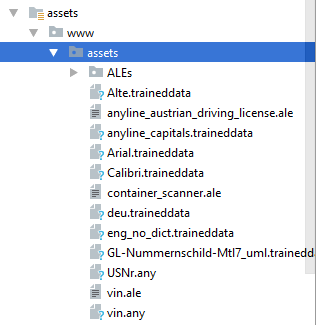 Make sure the asset folder is there. It consist of the available trained fonts that will be used to recognize the character in the scanning process. We are going to use only the Calibri.traineddata for this project. Feel free to experiment with other asset files if the scan result is poor. Let’s take a look at the main function in Scanner.controller.js before we build the app. We need to define the Anyline OCR & Barcode configuration as described below. 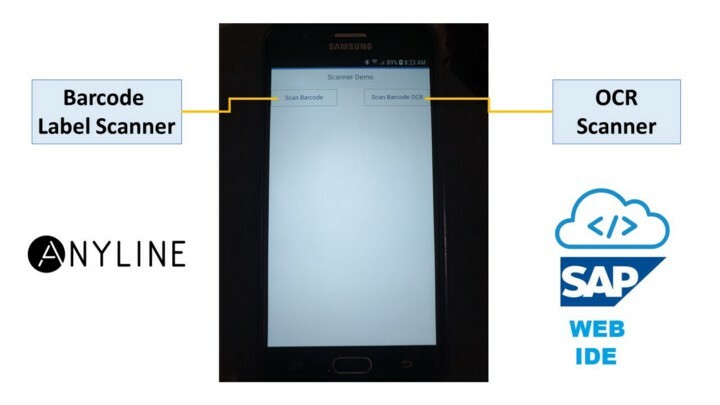 These two functions getBarcode() and getOCR() to call cordova barcode label and OCR scanner. Now everything is setup and we are ready to build & run the app ! I am new to this mobile dev world, but have experience in working for custom UI5 dev in SCP. Can you please help me explain the setup required here? I have downloaded all that is mentioned in your previous blogs, but not able to use the setup to create apps. Do you have any error details ? from the screenshot, I can’t find any details. Thanks for the insightful blogs that you created, I however have some trouble installing the Local HAT for a while. Last time I gave up local HAT and deploy Hybrid app directly from SCP Web IDE. After I call setup.cmd (actually more like double clicking setup.cmd in windows explorer), I got the web page below. I’ve been googling about this for a while but apparently having no luck finding solution. would you be able to advise? I believe there is an issue with bower components, but I am not sure which one causing that. Can you check the bower components and make sure the path is correct and complete?